Someone is going to win $1000, and it could be you. We are seeking photographic documentation of an animal case in which a Harrisons’ Pet Product was used to successfully resolve the disorder. Please begin by photographing the original presentation and continue to photograph various steps along the way during the treatment. Close-up digital images must be taken at a resolution high enough for a 4″x3″ (10 x 7.5 cm) image to be printed at 300 ppi (1200 x 900 pixels, or at least 1 megapixel). Please save images as individual .jpg, .tif or .psd files. In describing the case and the images, please include an introductory paragraph with the history, presumptive diagnosis, and other therapies that were used in conjunction with the Harrisons’ Pet Product (including the generic name of drugs, dosages and treatment intervals). Click here to see a sample clinical case report. Please save the text as a Word doc file. 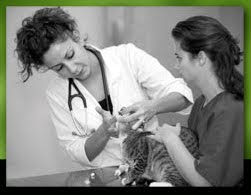 Images and text should be emailed to info@exoticdvm.com with “Clinical Case Report” as the subject by December 1, 2010. Include your name and contact information. The winner will be notified by email on December 17, 2010, and the $1,000 cash award will be presented at the North American Veterinary Conference (NAVC). Need not be present at NAVC to win. Winner will be selected by a panel of HEALx Veterinary Consultants. The contest is open to all licensed veterinarians; however, Harrisons’ Pet Products’ employees, consultants and their veterinary associates (at their practice) are not eligible to win.